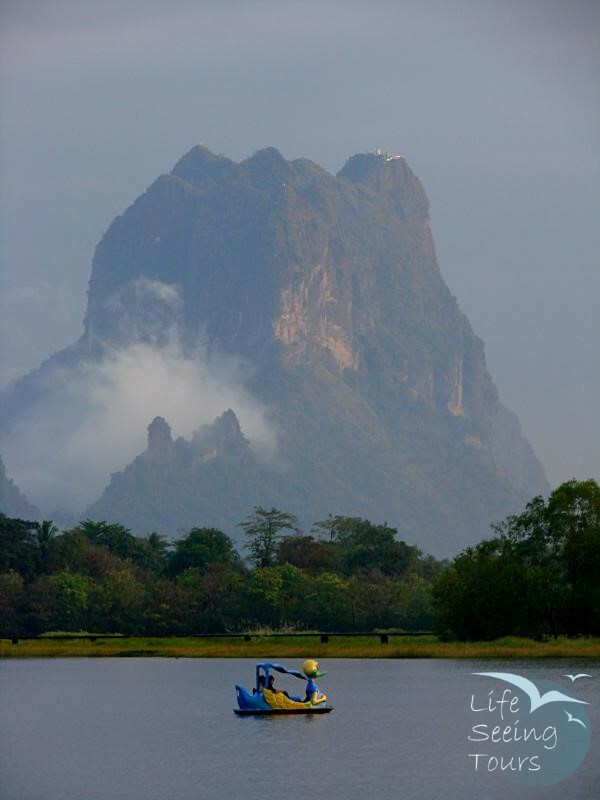 Hpa An is the state capital of Karen State with about 80.000 inhabitants. Literally it can be translated with frog vomit. You will find out the story if you ask someone at the Shweyinhmyaw Paya, where a frog and a snake are placed. The quiet pagoda overlooks the Than Lwin (Salween) River. Beside the river the town is surrounded by picturesque limestone mountains in all direction. 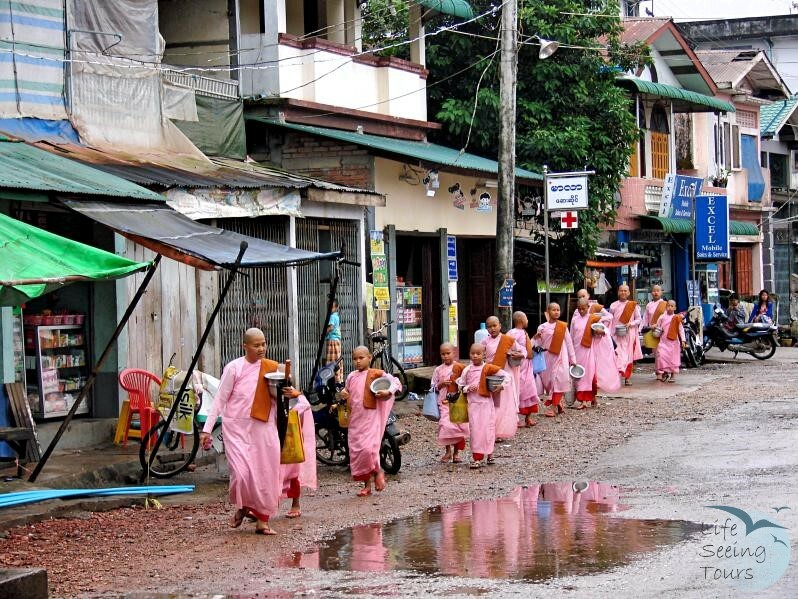 Most inhabitants are Buddhists, followed by Baptist, Anglican and Roman Catholic Christians. Hpa An has been missioned during the colonial times. To get a bit of background on local culture and history, visit to the Kayin Cultural Museum. With the opening of the Thai/Burmese border at nearby Myawaddy, the town has become the most overland travel from Thailand. The new A1 Highway, which will eventually connect to India takes you form the Thai Border to Hpa An in less than 3 hours. On the other site of the river is Hpan Pu Mountain, which you can climb in 30 minutes for stunning views of the surroundings and onto Hpa An itself., best on sunrise or sunset. It is better to trek the mountain in sturdy shoes. The traditional market in Hpa An town is a bustling place where many languages from Kayin, Thai, Mon and even Chinese have been spoken. It is a good place to buy traditional hand woven Karen Longyis and other local crafts. 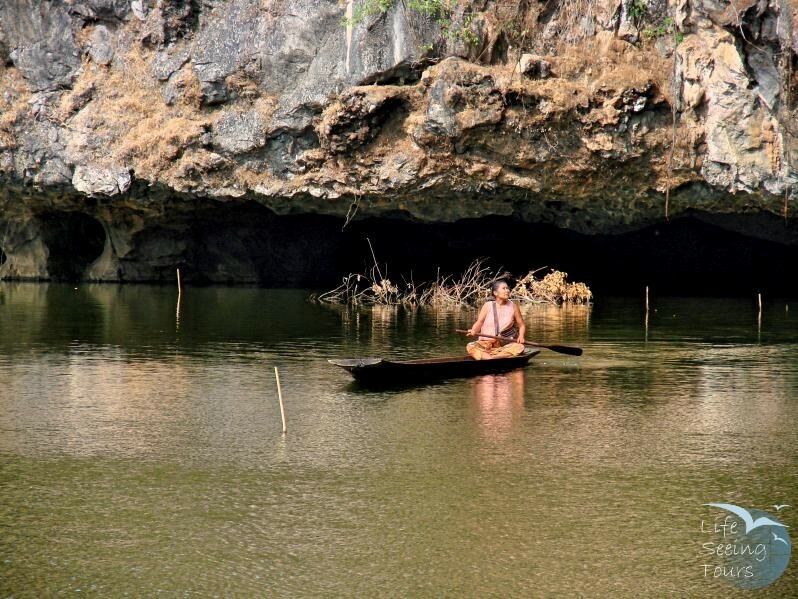 Kyauk Kalat translated water garden is a single karst mountain with a tiny pagoda on top. It is set in an artificial lake surrounded by rice paddies. Great photo opportunity. 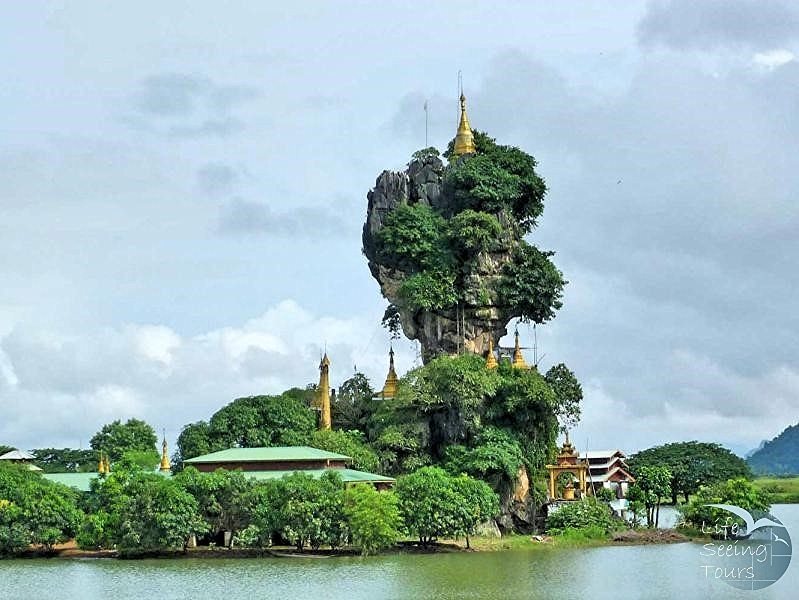 Mount Zwekabin and Lumbini Garden are the must visit in Hpa An. The 722 high mountain is the backdrop for the over 1000 Buddha Statues. Saddar Cave is perhaps the most beautiful cave in Myanmar. You can walk through the entire lime stone ridge in about 20 minutes. Please don't forget to take your shoes off and bring a torch (can also be rent on the entrance). On the other side of the mountain you can take a traditional boat, which takes you under the rock back to where you started from. Hiking Mount Zwekabin - The 1.5 hours to 3 hour climb is definitely worth it. Go early to avoid the midday heat. Get lost in the countryside of Hpa An. There are plenty of villages to discover with outstanding friendly locals. Mawlamyine can be reached by road Yangon and Mawlamyine. There is also road connection to Thailand. There are private ferry connection with Mawlamyine. There are no flights to Hpa An. San Ma Tau Restaurant - A little a way from the center, but still can be reached within 15 Minutes you find this tradition curry house. order one main dish and get between 5-10 side dishes, including vegetables, dips and chutneys to fill your belly. Best visit during lunch time. Open daily. Veranda Restaurant - This is a youth community café. A little bit outside of town set in a beautiful garden with bamboo furniture. They serve only vegetarian food mainly from local products. Try the avocado salad and the fruit shakes. All can of social events are happening there. Open every day except Sundays. Lucky Beer Station – Chinese food restaurant with Thai Influence and the colder beers in town. Located behind the market and near Soe Brother Guesthouse. Mingle with the locals. Open daily.